The Celestron 114 LCM Computerized Telescope is a fine optical instrument for observing celestial objects. 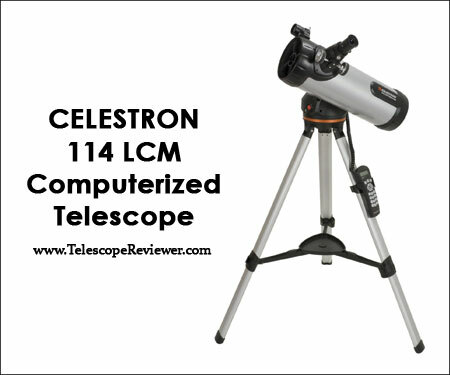 To help you understand the benefits and downsides of buying and using this Celestron computerized telescope, we have prepared a Celestron 114 LCM review that includes information on what the Celestron 114 LCM telescope actually is, how it works, what pros and cons you should consider before getting one, where you can find it for sale, as well as genuine consumer feedback. Enjoy reading our Celestron 114 LCM Computerized Telescope review, and clear skies! What Is the Celestron 114 LCM Computerized Telescope? 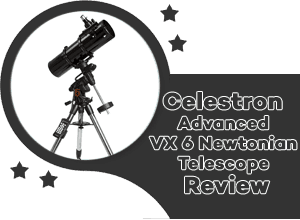 This telescope is a Celestron Newtonian telescope that enjoys great feedback on verified platforms, such as Amazon, and is highly recommended for beginners. The Celestron LCM 114 Telescope is compact and pretty lightweight. 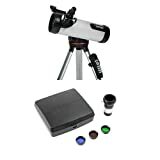 In addition to this, it comes with almost everything you need to start observing: one low power eyepiece, one high power eyepiece, a red dot star finder, a computer controller, a tripod, and astronomy software (The SkyX). The only thing you will need to purchase separately is a pack of batteries (8 AA batteries). Nevertheless, if you plan on traveling with this Celestron reflector telescope, we highly recommend that you bring several packs of batteries, so you’re certain that the power won’t die out on you. On this note, a battery-saving tip that one Celestron 114LCM computerized telescope review offers is to turn the red dot finder off when you are not using it, as it seems to be the main ‘culprit’ for fast battery consumption. If you want to observe planets, galaxies, or star clusters, this Celestron Newtonian is a wonderful way to start; you can easily use it to observe the rings of Saturn, Jupiter’s belts of clouds, or even Jupiter’s moons. 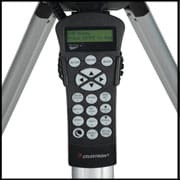 Even though Celestron Nexstar telescope reviews might seem tempting, there are plenty of reasons for you to consider the Celestron 114 LCM Computerized Telescope. 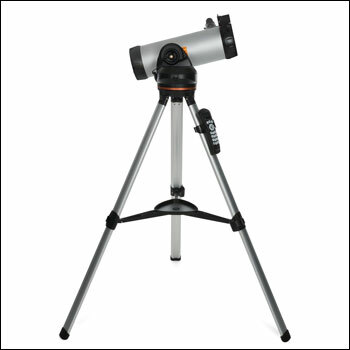 User-friendly – The Celestron 114 LCM Computerized Telescope is easy to set up and use, as it was designed with beginners’ needs in mind. This makes it an excellent choice for an individual who has never used a telescope prior to getting this model. 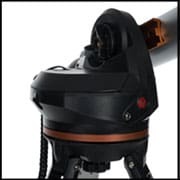 Accessories – As we already mentioned, the Celestron 114 LCM comes with an abundance of accessories. You won’t have to spend extra tens of dollars on additional tools; all you have to get is a set of 8 batteries, and you’re good to go. Moreover, the free software you get with your purchase will help you view the night skies. Price – Even though this telescope is not the least expensive telescope on the market, it is still highly accessible, and brings amazing value for its price. 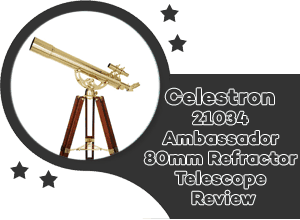 Quality – Celestron is known as one of the most reliable telescope companies when it comes to the quality of their products. The images you get with the Celestron 114 LCM are bright and breathtaking, no matter if you choose to get a closer look at stars or details of planets. The Sky Tour Button – Another great thing about the Celestron 111 LCM Computerized telescope is its Sky Tour button, which you can press if you are not sure what to look at. This button makes your telescope generate some of the best objects you can see. Batteries – Out of all downsides regarding the Celestron 114 LCM Computerized Telescope, it seems that weak battery life is at the top of the list (and the most significant complaint regarding this model). Batteries are known to die fast, meaning that you should always carry a few spare packs so you don’t remain powerless when you need your scope to work the most. Tripod – The reason why we’ve included the tripod on the list of cons is not because it is not a useful accessory, but because it is quite lightweight, which might cause the telescope to wobble when you touch it. Calibration – Some users have reported that calibration is a bit difficult with this particular model. Glitchy electronics – According to some people who have purchased the Celestron 114 LCM Computerized telescope, the electronics can have glitches, which means the user might have to get it touch with technical support more often. Short design – Unfortunately, this telescope is not suitable for people who are very tall, since its tripod is quite short. That said, if you have to look at overhead objects, you will have to lie on the floor, according to some users. 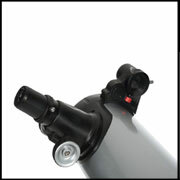 At TelescopeReviewer.com, we always recommend purchasing your telescopes from a reliable source. Even though you might be tempted to go to a second hand seller for a few bucks off, we greatly suggest that you get your product new, from online retailers like Amazon. Sometimes, you can find offers that include discounts and/or free shipping in the United States. 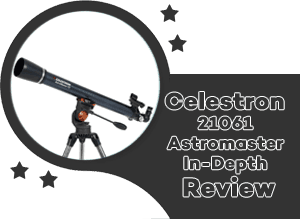 If you choose to buy it from Amazon, just make sure that you get it from the official Celestron seller. The Celestron 114LCM Computerized Telescope comes with two eyepieces: a 9mm one and a 25mm one, both measuring 1.25″. It is focused on bright optics, which allows you to see both Jupiter’s cloud belts and Saturn’s rings. You can also spot objects in deep space, like galaxies and star clusters. 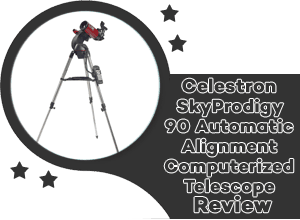 The telescope enjoys the advantages of the SkyAlign system, which is fast and easy to use. Due to the computerized tracking system, there isn’t much you have to do, which is great for beginners and more advanced users as well. 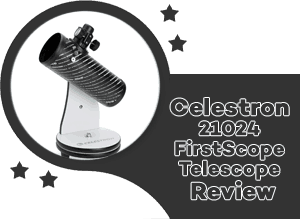 Consumer reports don’t show any particular guidelines related to Celestron 114 LCM Telescope maintenance, so we recommend that you take care of this telescope as you would any other model. The most important thing to keep in mind is to protect the lens as much as possible, because dust can damage it, affecting the quality of the image. Touching it is not a good idea either, except when you clean it, which should be done using a microfiber cloth. You will need 8 AA batteries for the Celestron 114 LCM Computerized Telescope to work; other than that, you receive two eyepieces, a red dot finder, computer controller, tripod, and software with your order. Like almost all Celestron products, the Celestron 114 LCM Computerized Telescope comes with a 2-year warranty. Customers appear to be thrilled with their Celestron 114 telescope, as this model has an above-average customer rating. 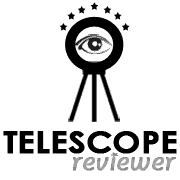 More than half of all customer reviews are rated highly, and people praise the specifications and features of this telescope. Of course, not everybody is satisfied with their purchase. Most often, people complain about the faulty and lightweight tripod, which makes it difficult for them not to make the telescope wobble when touching it, as well as about the weak battery life. However, most users still recommend this telescope. Beginner astronomers should look into the Celestron 114 LCM Computerized Telescope as their first scope. Even if it isn’t the first optical instrument you have invested in, the Celestron 114 will offer brilliant images without too much hassle, or a huge price tag attached. Even if this scope is more targeted to beginners, experienced astronomers can enjoy its features as well, as long as they do not have extremely high expectations. Beginner astronomers will definitely enjoy the Celestron 114 LCM Computerized Telescope as their first scope. You can download for free the manual for Celestron 114 LCM Computerized Telescope from here. Click on green button (Get Manual) and then click on blue Download PDF. And that’s it. Merry Christmas! :). Thanks for the review, it’s tipped my decision to go with the Celestron 114 LCM Computerized Telescope as my first “big girl” scope! I’m looking for a carrying case/protective case for it. Can you steer me in the right direction? Im looking for a carrying case for it. If any one can direct me. You mentioned the tripod was not so great for this telescope, what are some other good tripods that would be a good fit for this telescope?